Classical style - Jazz to Pop - 5 Star Reviews-- My music makes your event unique, memorable & enjoyable for all. I plays a wide mix ranging from Jazz like Sinatra, Michael Buble, & Tony Bennett to pop artists like Adele, Jack Johnson, Train to the Beatles, to Bach and the classics among many others. You'll hear melody, chords, bass and even percussion with just the guitar in a song list that's always expanding! Please click REVIEWS now to read great things that a wide group of clients say about my performances at Parties, Corporate Events, Weddings, Cocktail Hours and other events. 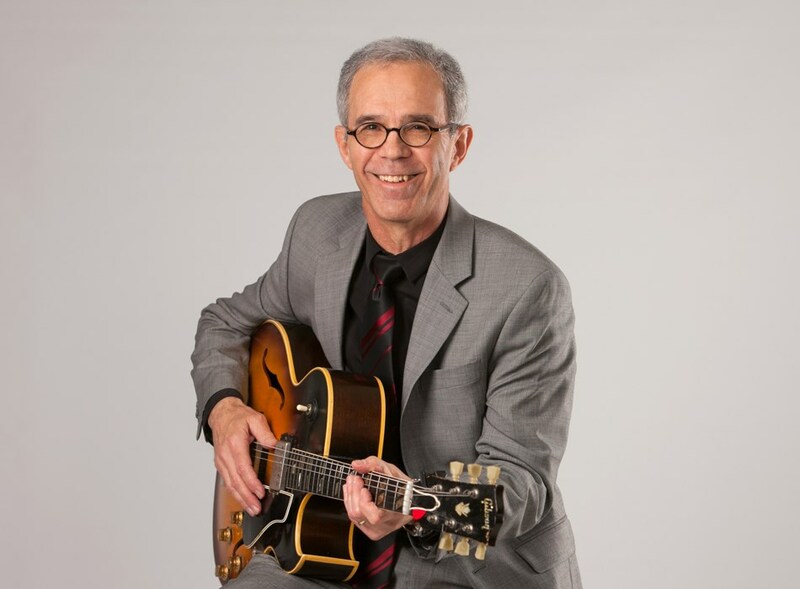 Click the AUDIO and the VIDEO icons above to check out my playing; and click SONGS below to find my long list of guitar arrangements that has something for everyone. If you have special requests you don't see on the song list, I can create arrangements especially for you and your event. 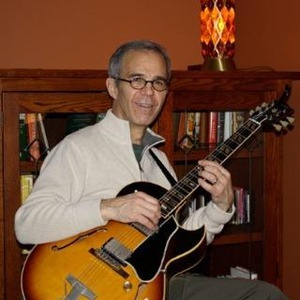 With over 30 years of experience as a solo instrumental guitarist I have also studied with the renowned jazz guitarist Tuck Andress (of Tuck and Patti). Having played hundreds of performances at parties, clubs, weddings, dinners, corporate and social events, I'll create a musical mood that's just right for you. Have questions or concerns? Text, Email or give me a call to get answers for any questions you have about music for your event. OR click REQUEST FREE QUOTE now and reserve a spot in my schedule. Rick was fantastic to work with leading up to the wedding. He was very responsive and quick to communicate. He checked in frequently the months and weeks leading up to the event. He arrived at the time he said he would and I was impressed with his musical talents at our ceremony and reception. He provided a wonderful ambiance and my guests commented on his abilities. Thank you so very much. Thank YOU. It was fun playing for you and for your guests at such a charming event. All the best to you both. Rick did a great job at our art opening. He is extremely organized and self sufficient in his set up and tear down, reviewed a song list ahead of time and tailored it to my requests, played beautifully, and made sure his volume was just right so that conversations were still possible anywhere in the room. Set a nice tone for our event. Rick was quick to reply to emails and very amenable to song requests. He has a wide repertoire and I would definitely use him again in the future. Elizabeth, Thanks for your positive review. It was fun playing for you and your colleagues at the Christmas party for ADM in Chicago. Rick was fantastic! Even our guests commented on how very good he was. I am extremely happy with Rick's performance. Rick did a fantastic job at our party. All guests enjoyed his music. Rick played a variety and accommodated a few songs that we discussed in advance which was perfect. I am very happy we got Rick for this job and I highly recommend to hire him if you would like to have a true professional at your party! Rick D. Frank was the perfect musician for our wedding ceremony. He understood the "vibe" we hoped to create as our guests arrived and was willing to work with us to learn a specific song we requested. Rick was very responsive whenever we had a question, he was extremely organized, and always on time. We really appreciated that he worked directly with our ceremony coordinator on logistics as it was one less thing we had to worry about. Most importantly, Rick was kind. It was our sense that he valued the opportunity to be with us on such a special day in our lives. Five starts all the way around!! Kristen, Thanks for your kind review. It was fun working with you and Justin and I'm glad we had such great weather for your big day. All the best to you both. Frank was very professional and arrived early with all of his equipment. His music really made our cocktail event and I think our attendees enjoyed the music and overall setting. We gave him little to no direction and he did a great job at playing the right type of music for our audience. Thanks again! Rick was a true professional – despite a hiccup with a power outlet not working, Rick adjusted and came up with a plan b and found a way to make it work. The ceremony was beautiful, and his presence really added to the event. At our reception, many of our guests commented how much they loved Rick's music and song selection. Everything was perfect and we are extremely happy that we chose Rick to perform at our wedding! Thank you Rick! Rick was super easy to deal with and laid back. He was responsive and prompt. He is definitely a professional in every sense of the word. In our particular case, his music provided a backdrop to networking function. It was never overpowering but added a lot to the atmosphere. I would recommend him highly for this type of event. Please note Rick D. Frank will also travel to Kenilworth, Evanston, Skokie, Winnetka, Golf, Glencoe, Glenview, Glenview Nas, Morton Grove, Techny, Chicago, Lincolnwood, Niles, Northbrook, Carol Stream, Park Ridge, Des Plaines, Highland Park, Deerfield, Highwood, Norridge, Fort Sheridan, Prospect Heights, Schiller Park, Mount Prospect, River Grove, Wheeling, Arlington Heights, Franklin Park, Lake Forest.